I like the number 13 and welcome this Friday the 13th with open arms. I have had a great week full of surprises! I hadn't been having the best time of things lately. Last Friday night, in the balmy 70 degree weather, I sat on my front porch, and I spent a while praying and reading my Bible. I asked God to help me be content. You know when a lot of little things aren't going well and it's just tough? When you think that eventually something's got to give? No matter what, I know that Jesus Christ is the same yesterday, today, and tomorrow (Hebrews 13:8). He is the source of true joy, and it is always a blessing to slow down and spend more time with Him. He also likes to give his children good gifts, and I've seen Him show me several good gifts this week. Those good gifts are my FIVE on Friday. ONE | After I went inside, I picked up my phone. I was shocked and ecstatic to find out that Kiel James Patrick had chosen me as his #BetterSweaterer pick of the week! A week or two before, Sarah and Sadie announced that they were hosting an Instagram contest to find the better sweaterer each week until Christmas. I knew that I had plenty of sweatering to do that I was planning to blog about anyway. I've mentioned before how extensive my grandmother's sweater collection is, and I pull out a few of the gems especially for Christmastime. Below is the photo that KJP chose to regram. 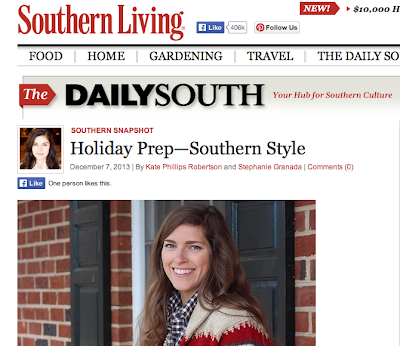 TWO | Last week, Southern Living asked readers to post their Christmas decorations, and The Daily South would choose favorites to post Saturday. I grew up watching my mom read Southern Living, and I borrow her issues now to read. I like catching up on The Daily South from time to time to see what's going on in our region. I checked the site on Saturday, and I was thrilled to see not one, but TWO of my photos on The Daily South! See the post here. THREE | On Monday, I received a package of Kiel James Patrick goodies that I ordered during their Black Friday sale. I look forward to styling what's in these boxes! 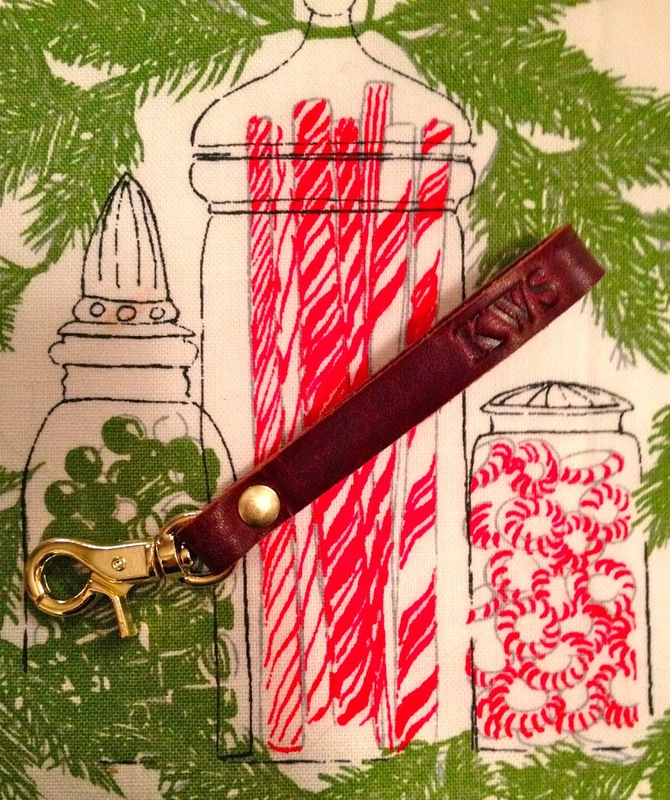 FOUR | On Wednesday, I received my Kslademade key fob that I ordered during their Black Friday sale. I'm so thankful that I could buy great products from both of these companies, made in the USA, on sale! FIVE | I found out through Instagram that Loren Hope was having a trunk show at Monkee's on Wednesday, and they would be giving away a Lyra necklace. I have followed and admired the brand for a while, and I made sure to go by the trunk show for a couple of gifts. Loren was great, and I was so glad to have the opportunity to meet her!!! I couldn't believe that I also WON the necklace!!! Sometimes things can lift your spirits a little bit. I am thankful for these "little happies," as my sister in law would call them, this week! That sweater is fab!!! Where did you find it??? LOVE!! Thank you! It was my grandmother's sweater that she gave to me. It is Ralph Lauren.